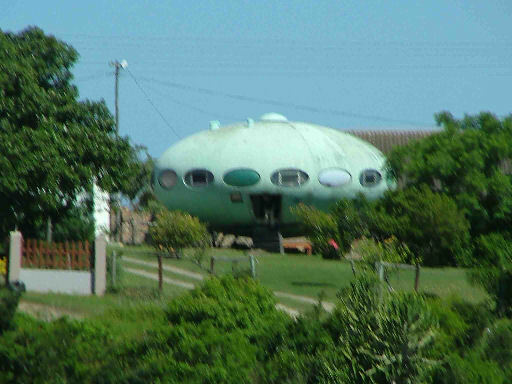 This Futuro House has been sold and relocated to the United Kingdom as of June 2013. 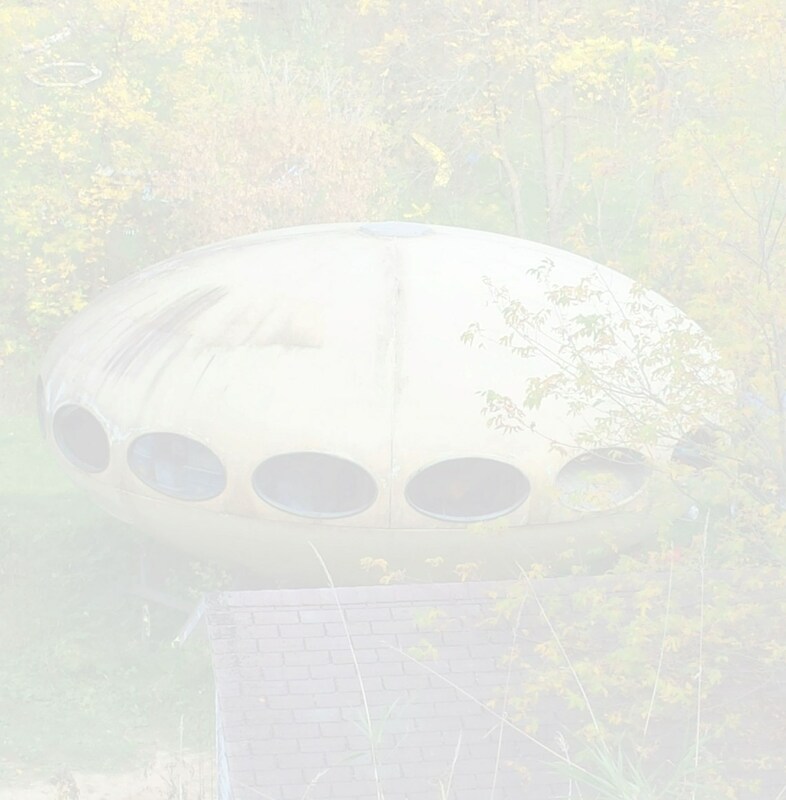 "The UFO is old and falling apart ... we must make a plan to try and save it before it is too late." 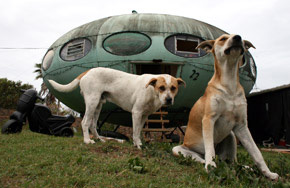 Over the years the Futuro has served a variety of purposes; its past roles have even included serving as kennel to a large dog and her brood. The owner is unsure exactly what use would be made of the Futuro after a move and restoration with ideas ranging from a kid's playroom to a novelty pub having been considered. No firm plans have been made at this time however; while du Randt is keen to restore the Futuro such a task is anything but a modest undertaking. The ParanormalMagazine.co.uk article is dated 011910 and that is the latest confirmed date I have for this Futuro.